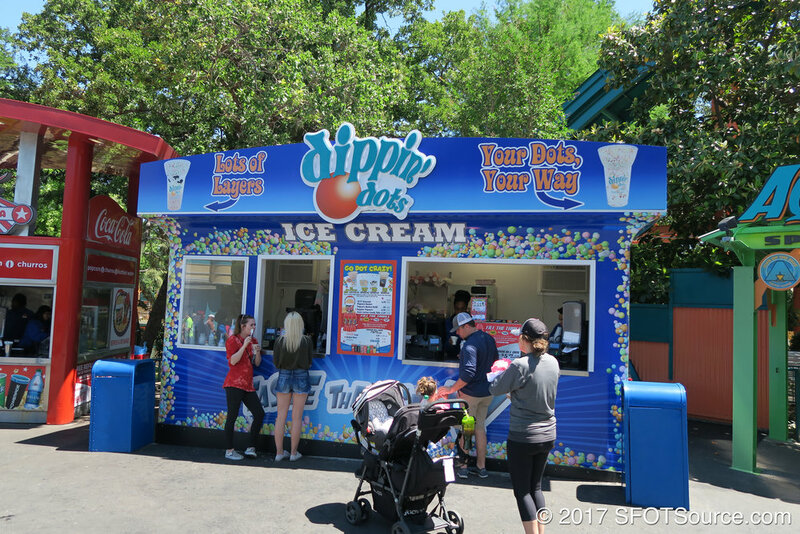 Aquaman Dippin' Dots is a small outdoor snack stand located near the entrance of Aquaman Splashdown. No seating options are directly available. However, All American Cafe is directly across the pathway and offers some covered outdoor seating.